A summer in Aruba, on the beach, in the sun–what else could a girl want? A summer romance, of course! Imagine spending your entire summer vacation on the beautiful Islands of Aruba. Who could ask for anything more? Well, for Morgan Callahan, spending her entire summer in Aruba with the father, she hardly knows, is barely anything to look forward to. In fact, she is dreading the next few months. 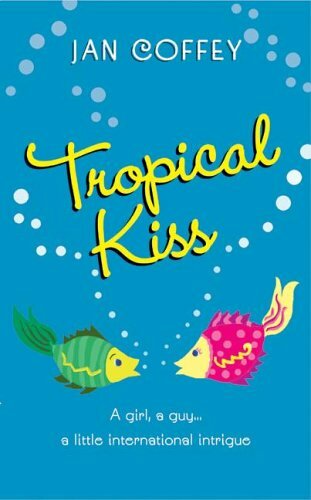 After I read Tropical Kiss, I was extremely surprised to find out that the author, Jan Coffey, was actually a husband and wife team...and it worked perfectly. The balance between romance, action, and humour was fantastic, and the story was hilarious. Honestly, I don't think I've ever laughed out loud so much while reading a book. Sure, I have giggled quietly, but this made my stomach hurt and my jaw ache from the bursts of laughter. Although this book was great at making me laugh, I also connected to the characters, especially Morgan. Even though I could not relate to her situation of going through a divource and having a broken leg, she was a like-able character. She was clumsy and easily embarrassed, which made her more like a real person. Morgan hadn't seen her workaholic father for three years. The occasional telephone call was all they heard of each other until her mum got remarried, and shipped Morgan off to Aruba for three months. Personally, I wouldn't mind the scenario, living on a beach for three months, but Morgan was upset. The only reason she reconnected with her father was her childhood friend, and now her dad's assistant, Cyrus "Cy" Reed. Cy was friendly and cute at first, until the possibility for a romantic relationship arose. I had expected a quick, fun read, but I was shocked when a mysterious story began to take place. All of Morgan's clumsy moments had me laughing hysterically too, which made my rating four masks. This book looks hilarious! 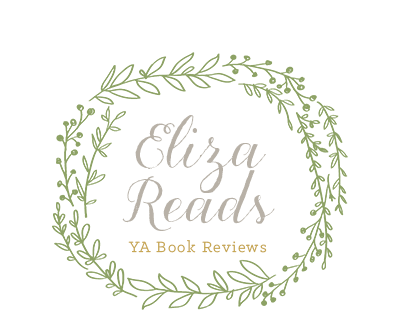 Can't wait to read it :) Nice review! It is hilarious!! Okay, let me know when you want to borrow it :) Thanks!